This was pretty much like all movies in the middle of a trilogy, a set up to the final encounter. 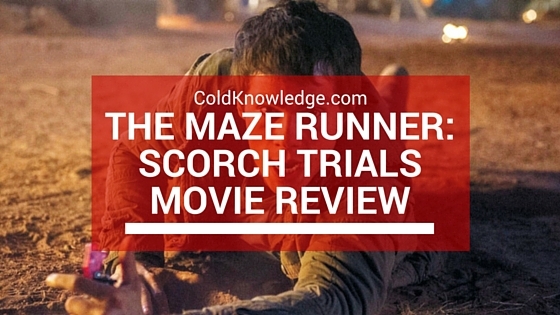 This movie wasn't short on the action or the drama, but it wasn't like the first one for me where you didn't know what to expect and they were racing to not get crushed or trapped within the actual maze itself. While I was disappointed with that aspect of of the movie it still had a lot of action packed sequences. The plot held up and the end of the movie was an overdone plot point, but I still didn't see it coming and that was great by the director. They teased the tension between the whole group but it ultimately came from the one place the didn't expect. Kudos to the director for keeping great story telling alive. Rosa Salazar, Giancarlo Esposito, Alan Tudyk, Lili Taylor, Barry Pepper, Jacob Lofl and the new love of my life Nathalie Emmanuel all added significantly to the main cast and their importance will be felt in the last installment coming out. I personally love when a movie series successfully introduces just enough characters that it all makes sense and clicks with each other. Every character was introduced without a hitch and seemed like they were always there; this part of the movie gets a vote from me. The special effects were on par from the first movie and didn't miss a beat. I did hear that the disturbed some ancient Native American grave sites, and if that was true then not only was that disrespectful, it was dangerous in a sense that you shouldn't ever mess with anyone's grave site, ever. So beyond that the special effects were on point, but I can't help but think how many ancient artifacts they used in the movie. All in all this movie was pretty cool, if you saw the first then you definitely would agree that this is the bridge between the two movies. I would definitely recommend this movie to people who have already saw the first one. If you try to watch it now then you'll probably be lost in the sauce once it starts. If you saw this movie then I would love to hear your feedback on it in the comments below.